As a former investment banker for 20 years who now provides pre-transaction advisory services to private business owners, I use plain language to help my clients understand the complex, often nuanced issues that they will need to navigate in selling their business. One such topic is the fundamental question of whether to structure their M&A transaction as a sale of assets or a sale of stock, a decision that has both legal and tax ramifications. In looking for a win-win scenario between buyer and seller, there also may be a third, best-of-both-worlds option, but more on that later. First let’s start with the basics, then see how each transaction structure impacts buyers and sellers differently. An ASSET sale is a transaction between your company and the buyer in which your company transfers specifically listed assets and liabilities to the buyer in exchange for the purchase price. A STOCK sale is a transaction between you (and any other shareholder of your company) and the buyer in which you transfer the stock of your company (the target), encompassing all of the company’s assets and liabilities, to the buyer in exchange for the purchase price. In almost all cases, buyers want to buy ASSETS, and sellers want to sell STOCK. Why? Receive a Stepped-Up Tax Basis – an asset transaction allows the buyer to allocate the purchase price to the individual assets that are acquired based on their fair market value, which is almost always higher than the assets’ existing depreciated book value. This “step-up” or increase in the tax basis of the acquired assets yields higher depreciation and other non-cash tax write-offs. Avoid Assuming Unknown Liabilities – in an asset transaction, the only liabilities the buyer assumes are those specifically listed in the definitive documentation. Examples of liabilities that buyers usually assume include accounts payable and accrued expenses incurred in the ordinary course of business. Any liability that is not listed, however, stays with the seller, which might include a product liability issue that arises post-closing related to products sold pre-closing. It Triggers Double Taxation – assuming the target company is a tax-paying entity (such as a C-corp), an asset sale will trigger two layers of taxes. First, taxes will be paid by the target on the gain (the amount by which the allocated purchase price exceeds the tax basis of the assets acquired) from the sale. Then, the proceeds will be taxed again when they are distributed out of the company to the individual shareholders. This double taxation issue can be substantial enough to make an asset transaction a “non-starter” for many sellers, though it does not apply to sellers of S-corps or LLCs, entitities that do not pay taxes at the corporate level. It is Overly Cumbersome – the need to list every asset and liability that is being conveyed to the buyer can be a very cumbersome task to document (and to make sure none slips through the cracks). Asset sales also typically require individual assets to be retitled and leases to be transferred into the name of the buyer, introducing hassles and delays to the closing process. It Triggers Depreciation Recapture – when the buyer steps up the tax basis in the acquired assets, a corresponding cost to the seller is created in the form of increased taxes (due at closing) caused by depreciation recapture. In common terms, the IRS views the write-up of the acquired assets as indicating that the assets had historically been depreciated too quickly. Since that past depreciation expense was tax-deductible, the IRS now wants the back taxes that would have been due on the amount of step-up the assets are now receiving. They Lose the Future Tax Benefits – in a stock sale, buyers cannot write up acquired assets to fair market value and thus miss out on resulting the increased tax write-offs. They Assume All Liabilities – in a stock sale, the buyer is stepping into the ownership position of the target and is responsible for all of the target’s liabilities (known and unknown) with only limited recourse from the sellers for liabilities arising before the transaction closed. 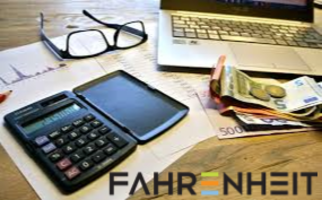 It Reduces Their Taxes – a stock transaction involves the selling shareholders’ directly receiving proceeds in exhange for their stock of the target, so there is only one level of tax on the gain (difference between the purchase price and the tax basis in the stock). Sellers also avoid taxes related to depreciation recapture with a stock sale, since the buyer is unable to take a write-up in the value of the assets acquired. It Transfers All Liabilities to the Buyer – as described above, a stock sale conveys all of the target company’s liabilities to the buyer. It is Easier to Execute – a stock sale only involves documenting the number of shares being sold to the buyer from the existing shareholders and does not require the exhaustive process of listing each and every asset and liability that is being transferred. What if you could have the buyer-friendly tax treatment of an asset sale AND the seller-friendly simpler legal structuring of a stock sale? Wouldn’t that be worth a higher purchase price? Under certain circumstances, your transaction can qualify to be legally structured as a stock sale but be taxed as an asset sale. These are called Section 338(h)(10) elections (referring to the IRS code that allows this treatment) for corporations, or Section 754 elections for LLCs. These special elections create a win-win scenario if your company is a pass-through entity (like an S-corporation or LLC), which means an asset transaction wouldn’t trigger double taxation. Buyers are often willing to structure the deal as a stock sale (and thus assume all liabilities and streamline the documentation process) if they can reap the future tax benefits from the asset step-up afforded by an asset sale. And most importantly, because of the tax benefits to buyers that these special structures create, buyers can pay an incrementally higher purchase price for your business than they otherwise would.